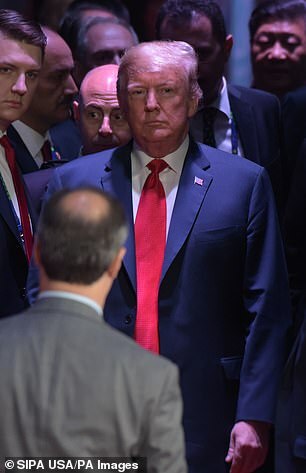 President Donald Trump was the only leader at the Group of 20 Summit in Argentina who refused to sign a statement reiterating a pledge to combat climate change. At the conclusion of the Buenos Aires conference, leaders of the forum which consists of 19 countries and the European Union agreed to fix the world trading system – but only 19 of them agreed to support the Paris accord on fighting climate change. Applause rose up in the hall Saturday as the leaders, including Trump, signed off on a final statement at the end of a two-day summit. The statement acknowledges flaws in the world trading system and calls for reforming the World Trade Organization. It doesn’t mention protectionism however, because negotiators said the U.S. had resisted that. The statement says 19 of the members reiterated their commitment to the Paris climate accord but the U.S. reiterates its decision to withdraw. The non-binding agreement was reached after difficult all-night talks by diplomats. A copy was obtained by The Associated Press. Trump remains a skeptic of climate change. In an interview Tuesday with The Washington Post, the President said he doubted the scientific consensus that the planet is getting warmer because of man-made pollutants that are being released into the air. ‘One of the problems that a lot of people like myself, we have very high levels of intelligence but we’re not necessarily such believers,’ the President said. Last week, the federal government released a wide-ranging report which found that climate change will cost the U.S. economy hundreds of billions of dollars by the end of the century, damaging everything from human health to infrastructure and agricultural production.